Does 3dcart Have Responsive Templates? With the introduction of HTML5 and CSS3, we now have the ability to offer Responsive Design! Responsive Design is an exciting web page design format that automatically conforms and resizes its design elements to the proper resolution of the browser that is viewing your site at any given time. This means that - regardless of whether your site is being viewed on a desktop or mobile platform - the overall look and feel will automatically conform to the best possible resolution for that viewer! Three different views; one responsive theme! Will this Update make my current Theme into a "responsive" theme? 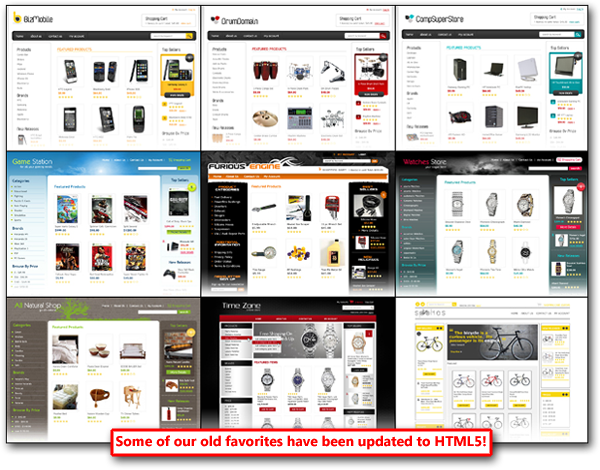 So if your current design is based off of one of these legacy themes, each has a newly designed HTML5 counterpart that can be applied to your store immediately by installing it from your 3dcart Online Store Manager. Just look for the "-HTML5" suffix at the end of the theme name! You should note that any customizations you may have made previously on your regular HTML themes will need to be reproduced on its respective HTML5 theme after installation. 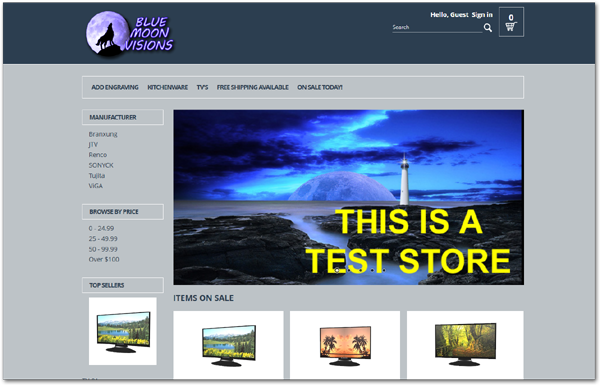 After all, you will be essentially installing a brand new theme to your store for all intents and purposes. How do I Install a Responsive Design Theme? Select your new HTML5 Theme and click on it to see its individual "Install" button. The system will download the template to your site and ask you if you'd like to apply it. Clicking yes, will apply the theme fully to your store and you may view the store to see the theme in action. Clicking no, on the other hand, will merely apply the theme to your "Installed Themes" tab and allow you to preview it before applying if desired. 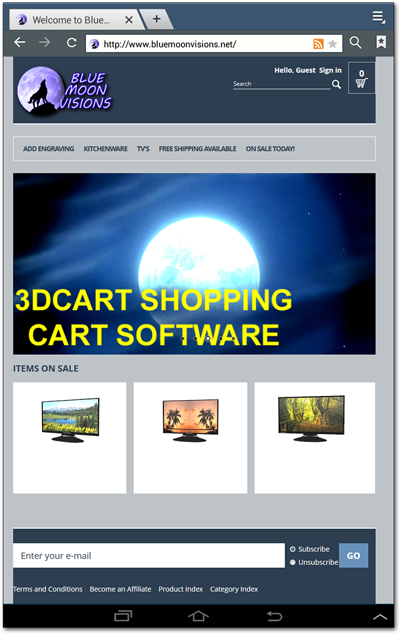 If you currently use 3dcart's mCommerce Mobile Template functionality and you install a responsive template; please remember to remove the mobile template's "Auto-Detect" script from your store to ensure visitors view the New design properly. Can I make edits to my Responsive Theme? Also, keep in mind that your store - if using one of the HTML5 themes - will also now use a new common folder for the various supplemental pages of your store. (Pages like view_cart.html, listing_0.html and other pages that are contained within the frame.html of your site). The new common folder will be named common-html5 and it will house all of your unedited supplement template files. As with the regular common folder, this folder cannot be written to. However, if you'd like to make changes to your supplemental template files - either through the template editor or via FTP download/upload - files will be taken from common-html5 and added to your selected Theme's folder. What if I find issues with a Responsive Theme? If you find any issues with your newly installed (and unedited) responsive theme, please let us know immediately. 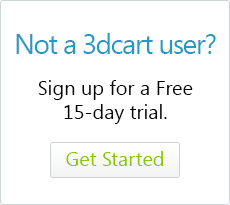 Contact 3dcart support so that they may leave a ticket on your behalf with the design team*. *If possible, please provide screenshots and details of any issues you may find (browser, device, page, etc). Please note that support will not be correcting the issue but rather reporting it to the design department on your behalf. Also please understand that we will NOT troubleshoot any edits you may have made to the themes. 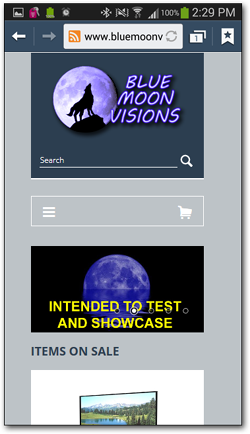 The only issues we will address in these beta themes are issues pertaining to the unedited theme files and issues that may arise from using them. Customizations made by you or your 3rd party designer will not be reviewed as they fall outside our scope of control. Do you offer Design Services for Responsive Themes? Absolutely! Please contact your Sales Associate if you'd like to request a quote for design services or click here to request a quote today!